The studies show that your frame of mind matters when examining your goals and objectives. Many of us focus on what’s “wrong” and what needs to change. By reframing our thoughts and actively deciding to focus on positive emotions and experiences, we can improve our lives and reach our highest goals over time. 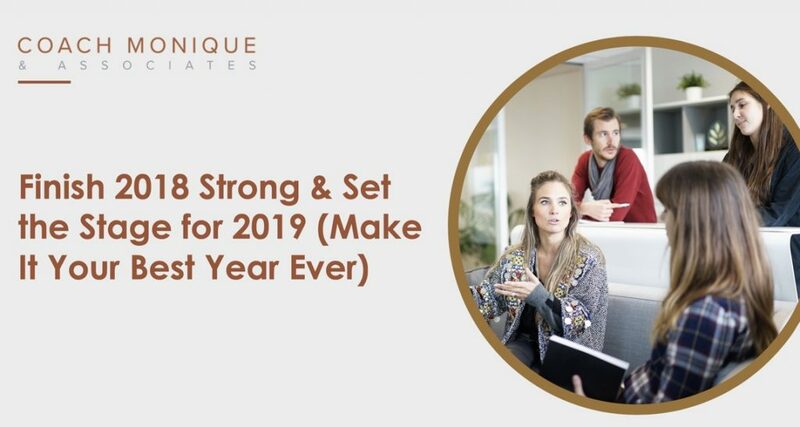 This is part of the focus of our upcoming presentation “Finish 2018 Strong & Set the Stage for 2019 (Make It Your Best Year Ever)”. To train our brains and to make effective decisions throughout our lives it’s first important to look at why we fail. In the webinar, you’ll learn more about the way negative thinking impacts our actions and causes failure time and again. One of the keys is that we don’t experience positive emotions fully, while we focus on a negative emotion or feeling such as pain or embarrassment. We’ll also introduce Hebb’s Law as part of our webinar. The theory states that neurons that fire together wire together. And so, if you’re focusing on negative emotions and thoughts all the time, your judgement is going to be clouded by negativity and you’re less likely to be effective in moving beyond these thoughts. You’re actively training your brain to focus on negativity when you replay negative thoughts in your mind. Getting beyond negative thinking involves developing the habits that will drive positive actions long into the future. It’ll be the key to your success in 2019 and beyond. These habits can be formed by using techniques such as the Delete Delete Technique, which we’ll explore within our webinar. It’s an insight into your future happiness and success. Take the next step to a more positive life by signing up for our upcoming webinar.